are one of the most important factors in allocating pagerank to web pages across all major search engines. What page rank does to a web page is that search engines send more traffic towards pages with higher page rank on keywords embedded in search queries. This is the reason why getting quality backlinks are crucial for a page to get more traffic. Web traffic is the most important asset that determines the success and failure in digital marketing. Trading backlinks is a black hat SEO technique and may cost your site with Google penalty which could result in your website out of the SERP. There is a very tedious process to recover from Google penalty. I use to stay focused on obtaining natural back link strategy. The best way to achieve this is to focus on the customer demands and then write high quality content, building helpful services for consumption, using easier navigation structure etc which let others link to you, write about you or leave a comment on it. Remember that search engines do not always ups your ranking when you receive a backlink. Search engines evaluate every backlink and decide what to do. Search engine may upvote, downvote or novote for the received backlink. If you have backlinks from spamming sites, your ranking may dip or your website may be blacklisted. So it is very important that you have genuine and quality backlinks. Getting organic backlinks are not easy when your pages have thin content or are low on content quality. You will require smart backlinks strategies for both internal and external links. 2.5 billion People use internet everyday in search for quality content. They like and share those links as a result of which you and your website gets promoted. Always write original and quality content that people love to read. Create attractive title with appropriate keywords and description to your content. Spend some time brain storming and keyword research to settle with the best title for your contents. The title and description of your content help people figure out what they will find in the article. This helps in on-page SEO and improving page rank. Insert keywords in the title and description. You can research keywords using keyword planner tools like Google Keyword planner, Ahref, Ubersuggest etc. There are many free tools available for this keyword hints and reseacrh. People will like, share or link to such web pages that are helpful, relevant, extensive web resource, path breaking or service oriented. This is the best way to attract organic backlinks. All other methods revolve around quality content. Avoid plagiarism and content spinning as Google has the mechanism to track and find out such attempts and down vote your pagerank. In digital marketing, you must have a smart and structured content strategy in place since the content drives and influence People on the internet. Content means all contents – textual content, video content, images and animations, audio content, podcasts or a combination of media. Wikipedia has the domain authority of 100 and very high page authority. Did you ever bother why? The short answer is that they have consistent content template and writing strategy. They write compact articles which are highly interlinked and cover many external resources and references. You should have a content template with your audience and their habits and choices in mind. After that, write unique, helpful and quality content for your audience on your website. Remember, you write for your audience. Such contents are a great resource for news editors, authors, popular media and other bloggers. They may like, share and publish your content and that will build a natural backlink to your website. It has a structure like headlines, sub-headings, highlights etc. Content Template makes writing consistent, better and faster. These content naturally attract organic backlinks (organic backlinks are free backlinks that you deserve because you wrote a great content) without reaching out to other website owners. Don't forget and refrain from linking to additional resources and references. A complete view of the subject improves its quality and is appreciated by your readers and search engines. Google has explicitly announced that social signals are a ranking factor and it getting more weight by search engines in coming days as more and more People hang out on social media. Social media profiling is the easiest way to generate organic backlinks. The biggest advantages of social media are that it is free and you can build social bookmarks for your websites and build a sustainable social network. Have active social media accounts on popular social media sites and update regularly. Build social media profile for each social site and submit as credible details about you and your website. When you build social media profiles, you create nofollow backlinks to your sites which helps you generate organic traffic to your websites. if you do not have enough presence on social media, put more effort in social media engagements and update pages on popular social media networks like facebook, twitter, google plus, tumblr, pinterest and linkedin. Writers and bloggers do promote each other in the same or different niche. You can contact bloggers in your niche to visit your website, review posts and write about it on their own blog with dofollow links. You can also use copywriter’s services, bloggers and editors with good fan followings to write about subjects covered in your website with a backlink. This promotional exchange program works well if you have a good relationship with other bloggers otherwise this is a difficult exercise with low return on investment (ROI). Guest posting is one of the best ways to get quality backlinks, branding and web traffic. Try to find some popular blogs in your niche with domain authority (DA>30) that allow guest posting and then contribute with quality article. Also follow the guest post guidelines of the target blog. Insert important links in the article that points to your website but do not overdo it. Be a guest post writer and use this opportunity to build organic backlinks for your website. Guest post submissions also help getting the traffic share from other websites and build a relationship with them in exchange of a quality article in return. It helps you increase organic traffic tremendously with few guest posts. Not just you write a submit blog posts on other sites, you shall also accept guest posts. Accepting guest posts enhances your own blog with more articles and viewerships. You can write to many Q&A sites like quora to build backlinks. You can use many other popular hangout sites apart from social media platforms like reddit, digg & triberr where people share contents and views. Article is your assets. Assemble as much as possible. Provide useful information to outdated websites (or recently expired domains) owner and request them to add your page as an alternate resource, a backlink in exchange. There are broken link checker extensions for chrome that can examine the broken links on a site. Collect those web addresses and the contact details and write personalized email to connect with a similar alternative page that you have created. This way you are not just lending help but also giving them a relief from broken links problem. People looking for such support will link with your website and you will get long term relationship and referral traffic. Here we referred to help outdated websites because such websites enjoy high domain authority due to their domain age and backlinking them will help your website in a big way. This is just one example, but you can help many more with different services. You can offer free subscription or discounts on your products / offerings in return of backlink on your page. This is a direct way of asking for backlinks. This is indeed a good way of building mutual relationship. At the same time it helps build your online community and expand your outreach. The process also helps to boost your sales in case you are a manufacturer or producer of goods and services. Many of the sites offer free ebooks in pdf version on subscription. Don't be intimidated or refrain from writing about your competitors. If your article vouch for comparison, write about your competitors or about some ones who is in related trade. Send them an excerpt about it and ask if he/she want to add the referral to their website. This is my favorite way to build and earn backlinks. 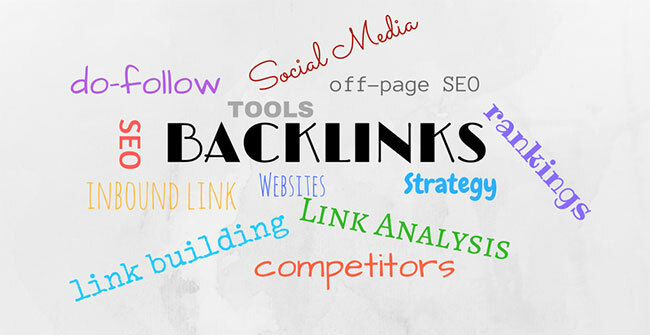 Online services are one of the best ways to attract backlinks. Unlike articles, online services cannot be copied or stolen. These services can only be consumed. Therefore, anyone who is willing to add such web based services to their portfolio, they will have to either visit your site or add a backlink. Online services have the potential to bring huge number of customers to your website and also earn you thousands of backlinks. Building a new service might be tricky for non programmers, but still they can build service pages by incorporating embed code of many services offered by other sites on their own web pages. Doing this, they are the service agregators. With competitor’s backlink analysis you can target those who are partnering or dealing with your competitor. To beat your competitor in SEO marketing, you can use many tools like Ahref, Backlinkwatch etc. These tools or services reveal the back links of your competitor's website and help you to get a list of their associated websites. Competitors generally have the same kind of interest and having a list websites interested in such services a great backlink cheat sheet. Target them all with your own offers and value to acquire quality backlinks.
. My personal approach is not to build backlinks for my website by commenting, contacting bloggers or other ways although all these techniques work to a certain extent. I would rather emphasise on creating long quality content that is a real value for my readers. I would love to have passive backlink opportunity than actively trying for it. I will invest my time in consolidating my articles and work more on building link diversity through articles and inviting comments.